A Kentucky State University student organized a blanket drive for the homeless and is still seeking donations. 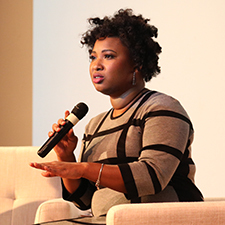 An award-winning author, producer and journalist shared her story with a standing-room only audience of Kentucky State University students, faculty, staff and administrators during the Federal Reserve Bank of St. The health and safety of our students is a top priority at Kentucky State University. 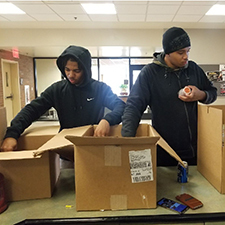 Students, faculty, staff and administrators joined together to gather more than 900 food items for the Emergency Community Food Pantry of Franklin County. Fall commencement at Kentucky State University is set for Friday, Dec. 14 at 9 a.m. in the Carl H. Smith Auditorium in David H. Bradford Hall. Kentucky State University’s online master’s degree in special education was once again recognized as one of the best in the country, this time by AffordableCollegesOnline.org (ACO). 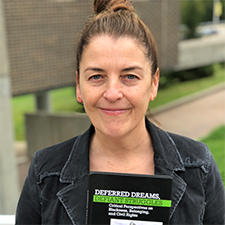 A Kentucky State University professor recently contributed a chapter to a new anthology.